She could be joking—which seems like something she’d do—but it also seems perfectly believable that her hairstyle could somehow be considered a spoiler. So what’s under that pillowcase? Maybe Ridley will have a pair of Princess Leia-esque buns in Episode VIII? That doesn’t seem like it’d be much of a plot spoiler, though, unless Rey decides to leave Luke on his little island and train with his sister instead. 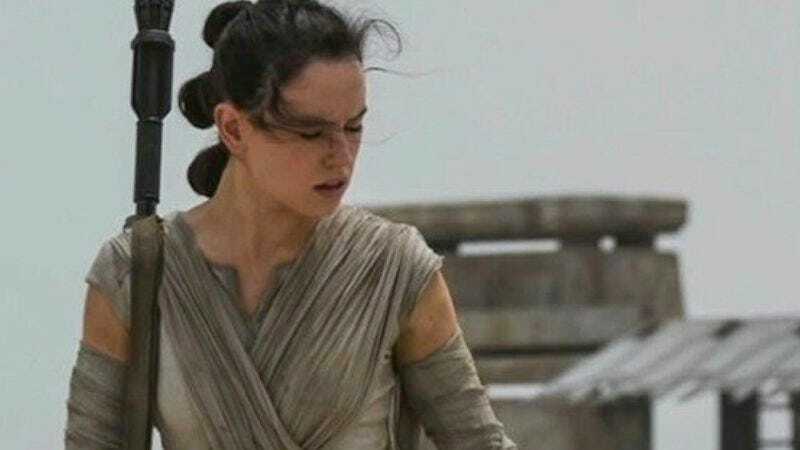 Plus, those buns probably wouldn’t fit under Ridley’s pillowcase, but we can think of one spoiler-ish Star Wars hairstyle that would: a Padawan braid, like the ones Ewan McGregor and Hayden Christensen had in the prequels. After all, if Luke is going to be teaching her how to be a Jedi in the next movie, it stands to reason that he’d ask her to embrace the order’s various accoutrements. Plus, maybe it’ll finally bring rat tails back into fashion.